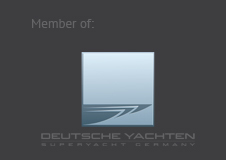 The 4th edition of the German Superyacht Conference in Hamburg was again an enriching experience for all concerned. Wolz Nautic, the global technology leader in the manufacture of prefabricated teak decks and boat flooring, made its first appearance as conference sponsor. "The opportunity of being able to support an event as important as this as sponsor is a real stroke of luck for us. As in previous years, the responsible people from the BOOTE EXCLUSIV magazine have done a first-class job and their efforts and commitment have greatly contributed to the success of this event", said André Hofmann, Head of Marketing & Sales Production Yachts at Wolz Nautic. A large number of friends, acquaintances and business partners from the German and international megayacht sectors met on 26 February 2015 at the prominent location looking out over the roofs of Hamburg to listen to talks given by well-known industry insiders such as, for example, designers Martin Francis, Vasily Klyukin or Christiane Thomsen from Lunautica. An additional highlight of the event held in the Elbkuppel conference room of the Hotel Hafen Hamburg was the unique view out over the Blohm & Voss dock in which, appropriate to the event, one of the world's most dazzling megayachts – Roman Abramowitch's ECLIPSE – was moored for repairs. Wolz Nautic also made use of the German Superyacht Conference to present a world innovation in an exclusive circle. The Würzburg-based teak deck manufacturer's cutting-edge technological expertise has now made it possible for finely structured marquetry inlay elements otherwise found exclusively in interior areas to be put in place in the external areas of megayachts. Wolz Nautic uses high-precision laser technology and measuring systems in order to be able to do this. The first large-scale projects are now in progress and scheduled for handover to the clients in 2015.